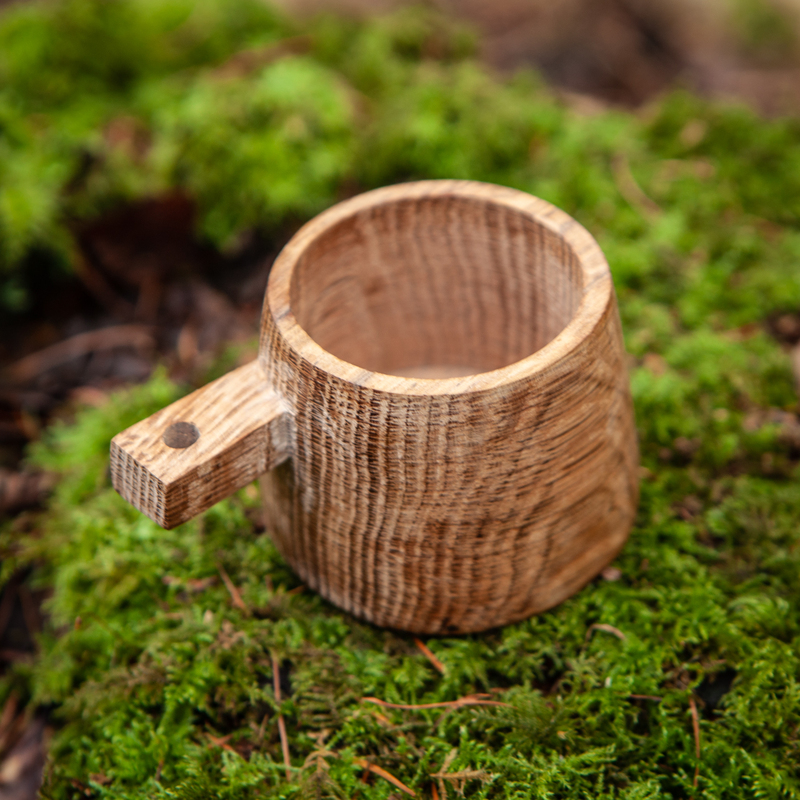 These little oak cups pair well with earthy spirits such as sloe gin or single malt whisky. 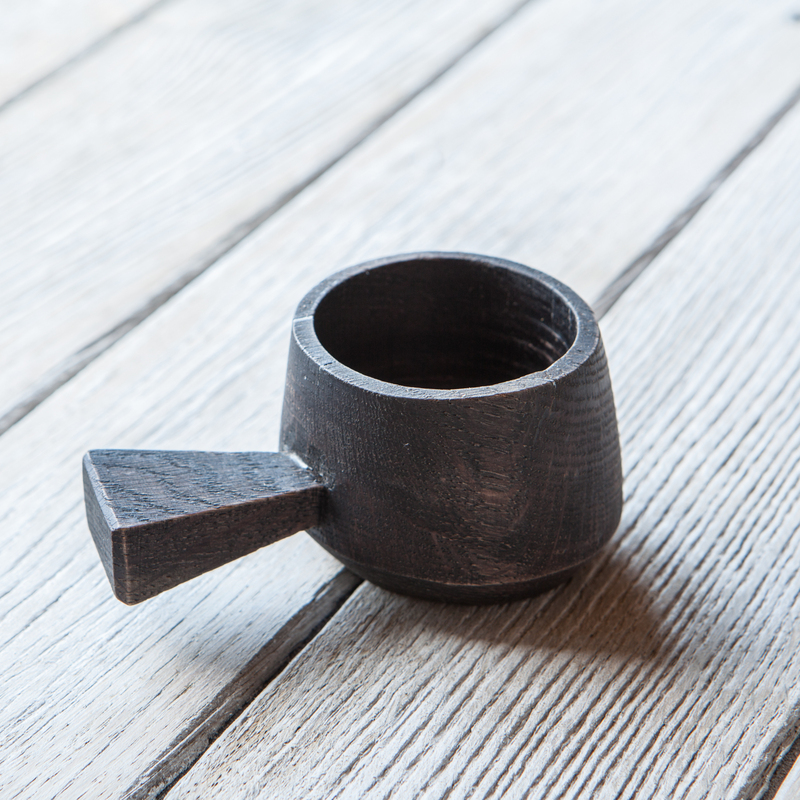 In the case of whisky, over time the wooden cup takes on the aroma of the whisky. 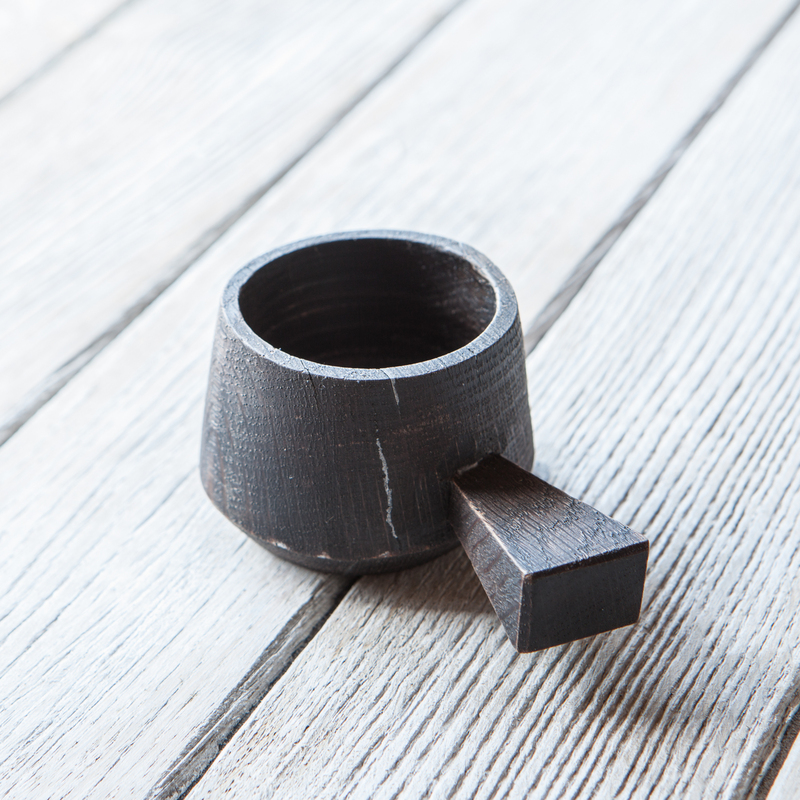 Available in naturally darkened charcoal finish or old oak. Interior sealed for use with non-heated liquids and exterior treaded with food safe oil. 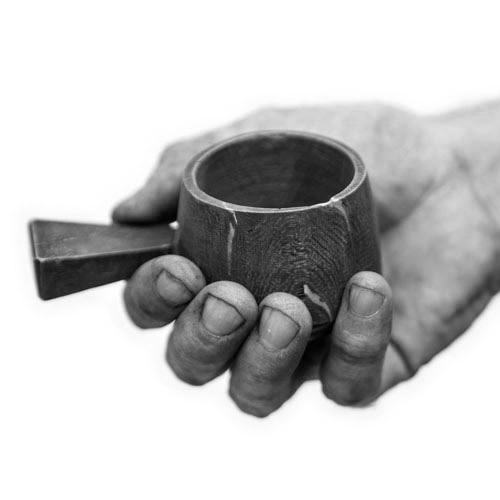 The old oak is carved by hand, which means no two cups are exactly the same. 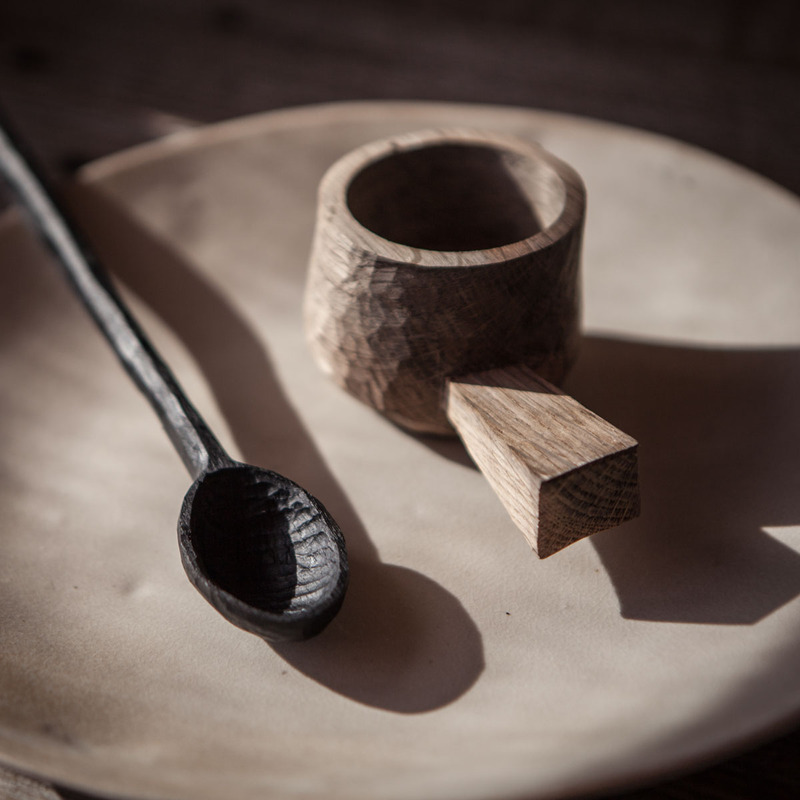 Sometimes very old oak has small cracks which are filled with cold forged metal. 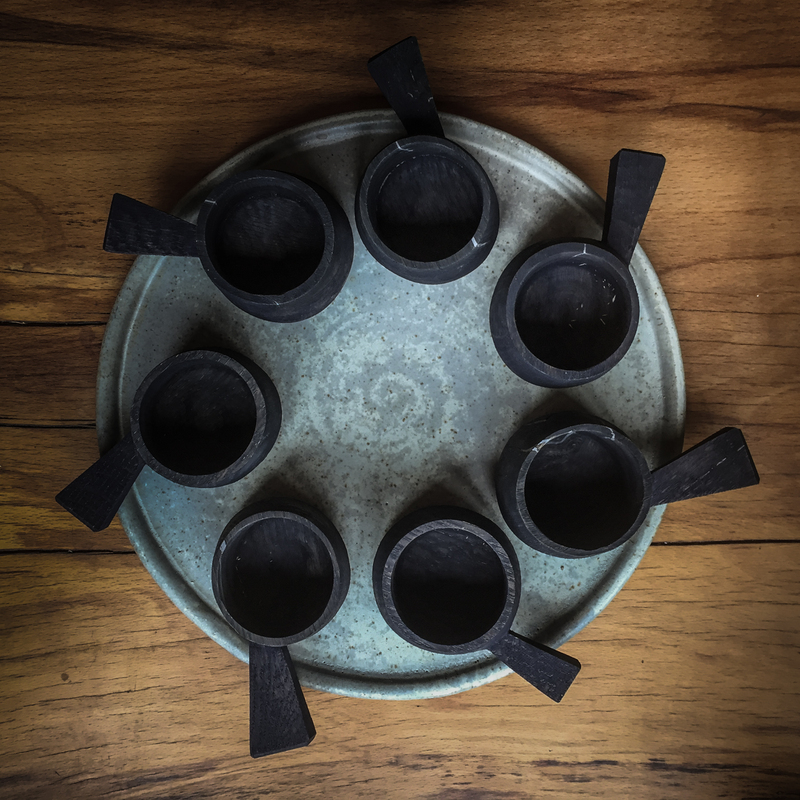 Price quoted for single cup. 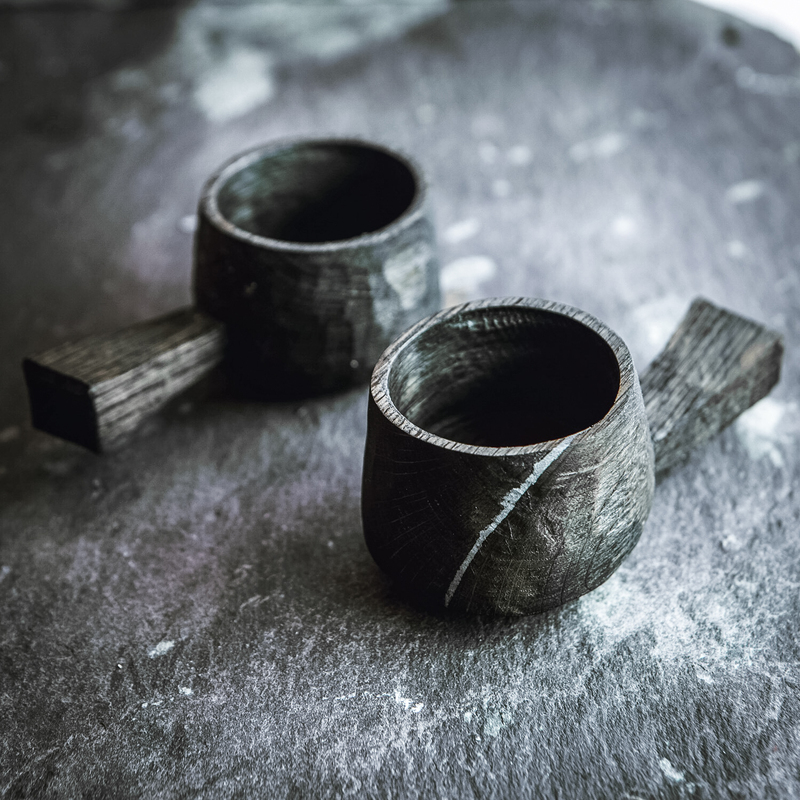 These little oak cups pair well with earthy spirits such as sloe gin and single malt whisky. 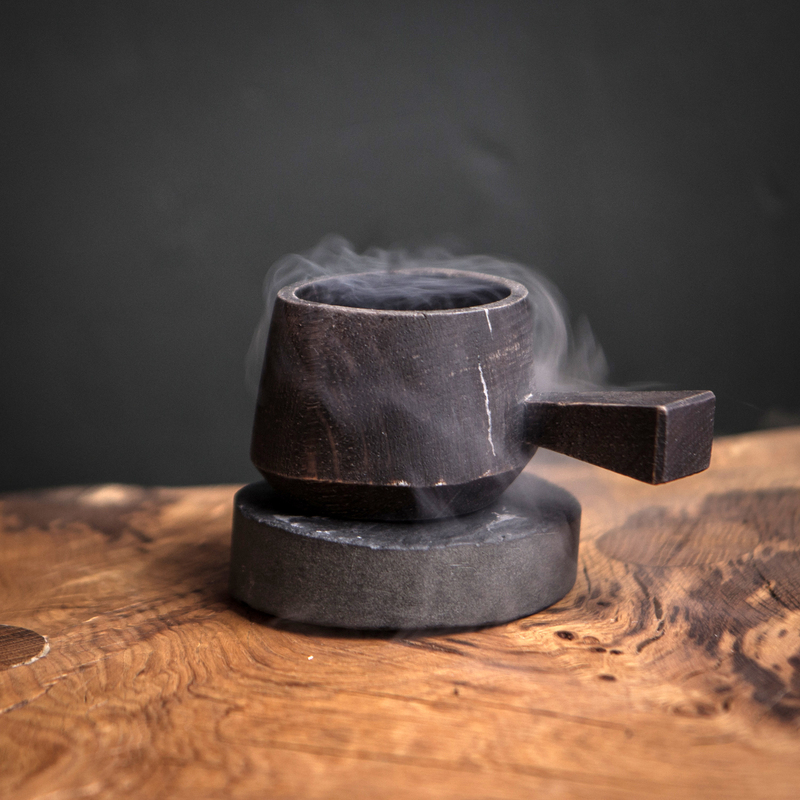 In the case of whisky, over time the wooden cup takes on the aroma of the whisky. Interior sealed for use with non-heated liquids and exterior treated with food safe oil.